Members of the Sussex County Community College Board of Trustees discuss the new ethics policy. Photo by Jennifer Jean Miller. NEWTON, NJ – Sussex County Community College Trustee Board Members voted unanimously to adopt the college’s revised ethics policy, voted for the extension of the Echelon contract and also approved two re-votes on CP Engineers proposals, at the group’s meeting on Monday, September 22. The members of the board voted affirmatively on the measure to revise the ethics policy, which will includes guidelines such as board members requiring to disclose conflicts prior to discussing and voting on matters, and the ability for other trustees to bring up potential conflicts they may know of about other board members. Review of the policy will also take place annually. Exceptions can be granted and the ethics committee will have the final say on granting the exceptions. Dr. Paul Mazur, the college president, encouraged members of the board to vote in favor of the revised ethics policy. Mazur said that the policy the board had previously utilized was implemented at 15 of the 19 community colleges throughout the state. The board’s chair, Judge Lorraine Parker, said that two community colleges, Hudson and Middlesex, had no ethics policy in place. Parker reiterated how seriously the college has taken the topic of ethics, including taking the proper steps to aggressively address ethics, as well as send the Saiber Report with the firm’s recommendations, to the state’s Office of The Attorney General. “This policy goes beyond that which is the model,” said Mazur, who added that the Middle States Commission on Higher Education would need a report on a more comprehensive policy as quickly as possible. The board member with questions on the revised ethics policy, and suggesting it not go forward on Monday evening and perhaps stay as a first reading that night, was Daniel Perez. who offered that the ethics policy might require more clarification about the material financial interest clause and that financial interest can sometimes be relative. He suggested that other groups might like to review it before it is officially adopted. Click on video within this article for some of Perez’s remarks. Perez also asked Parker if an ethics professional had reviewed it, and Parker replied that a local ethics professional who will be coming to speak to the board in October, reviewed it. After the construction at the college was delayed due to the ethics questions raised, the general contractor, Echelon, granted an extension of its contract to the college, which the college approved to agree to the contract’s extension to October 19. On Wednesday, September 24, the Board of School Estimate voted unanimously to transfer funds in the amount of $726,000 for the Building D Echelon portion of the project, which had been previously been earmarked from the state’s Go Bond, for refurbishments in Building B. Another two orders of business that the board of trustees voted on during the September 22 meeting, focused on the Building D Project and to accept CP Engineers proposals from March and December 2013. All members of the board voted “Yes” to both, except for Perez abstaining on the first, and Perez and Dr. Rosalie Lamonte both abstaining on the second. Hank Pomerantz, adjunct professor and president of the Adjunct Faculty Union, praised the board during the second public session on the new ethics policy and questioned why there was no reason given for the abstentions, because of contingencies in the new policy, which seek a reason behind abstained votes. “Does your policy say, like when someone like Mr. Perez, has abstained, that they have to note the reason for abstaining?” Pomerantz asked. Parker said it may be advisable, but it is not required under Robert’s Rules. A party who expressed his upset in both the first and second public participation sessions was Harry Dunleavy, a regular attendee at the meetings. Dunleavy was angered during the first public session because he said he had requested by OPRA a contract about Mazur’s salary and his request was rejected. A personnel action that was taken on Monday night, and approved, was regarding Mazur’s contract. Board counsel Katherine A. Gilfillan explained to Dunleavy that the document regarding Mazur’s salary was not an open record at the point he requested it, because it was still a negotiated document. Negotiated documents, Gilfillan said, were not public record. Mazur’s salary was slated for approval on Monday with an increase, with the total base salary at $171,899 and the standard benefits package. 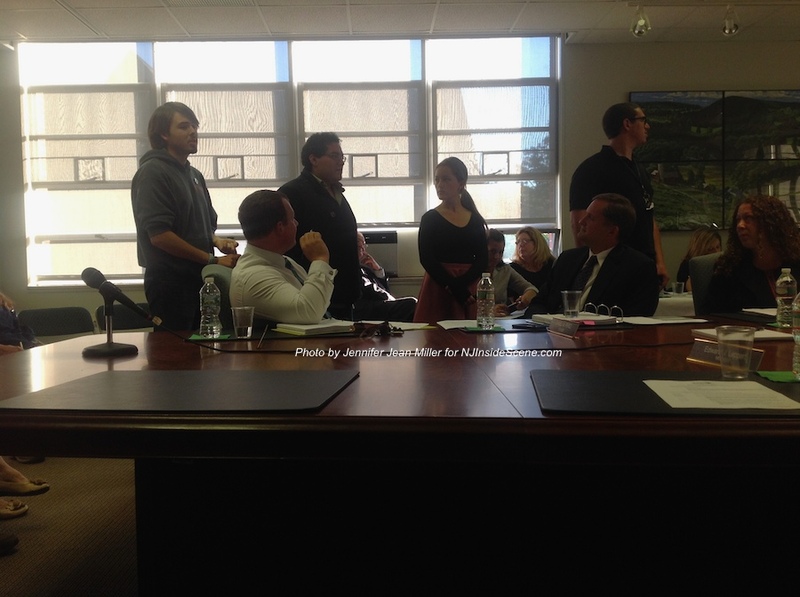 Dunleavy, in both the first and second public sessions, expressed his disdain for Mazur, Parker, and trustee Ed Leppert, who was absent from the meeting, and said that he hoped they would resign. He also said that he wished the CP Engineers matter was “forgotten forever,” and that he thought there was a “total mess made” that was “costing the public an awful lot of money,” and he said that he thought, “a lot of you should have been ashamed of yourselves,” referring to the board. Parker thanked Dunleavy for his comments. Kevin Duffy, an alumni and non-voting member of the board of trustees countered Dunleavy’s comments about the college, as well as Dunleavy’s commentary about the paper. During the meeting, Parker read a number of letters written to the school by alumni and former students about their positive experiences with Sussex County Community College, which she said are often not reported in the papers. Duffy also said he had submitted positive news about student happenings to the paper, which were never published. Duffy additionally shared an anecdote about a career development course hosted at the Morris County Prosecutor’s Office, with many colleges, including Sussex County Community College participating. Duffy reported that other colleges have stated “how awesome our two professors are,” referring to the professors who participate in the course. 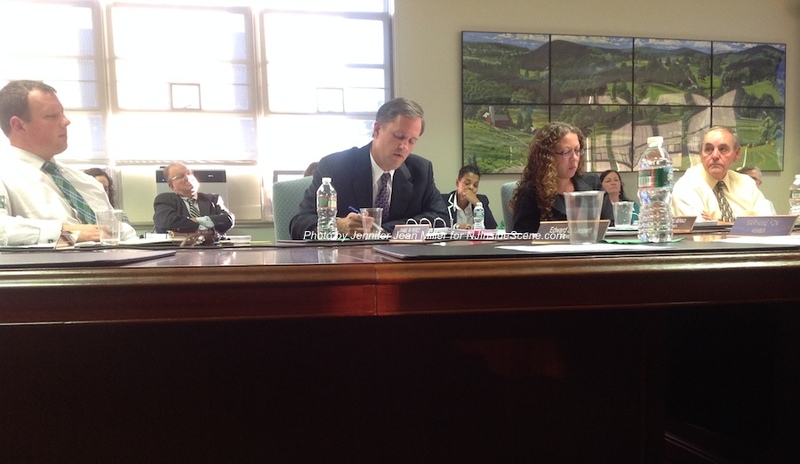 Dunleavy stated his desire to reply to Duffy’s comments and both trustee Rachel Geraci and Parker advised him he had already used his allotted time to speak. Members of Sussex County Community College’s Student Government share about the “Mission Possible” program and other events that are upcoming. Photo by Jennifer Jean Miller. Sussex County Historian Wayne McCabe thanked the board of trustees “on behalf of the 1,700 people who signed the petition,” against the demolition of Horton Mansion. There is a two-year delay on the potential demolition on the building, as the Sussex County Historical Society, and the college, brainstorm ideas on the building restoration, with the Sussex County Historical Society considering fundraising options. Dunleavy said he would be working with McCabe on the fundraising efforts. Members of Sussex County Community College’s Student Government presented on the student’s “Mission Possible” initiative, which included 500 new students participating. Students were able to meet one another through a variety of activities including: the design of 200 name mugs, a balloon art hats, and an opportunity for students to make their own teddy bears. Some upcoming activities that the students are planning include a “Meet the Clubs” event, and an event open to the public, that is a haunted hayride. The board recognized Pomerantz for his community service award and participation with various initiatives in the community, including the American Cancer Society. Parker said that the Rockin’ Fest event held on Saturday, September 13 earned $2,400 for the college’s veterans’ program. 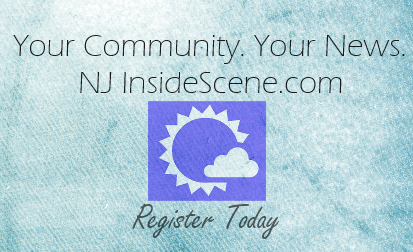 Editor’s Note: NJInsideScene.com’s parent company, JJ Avenue Productions, has worked previously with both CP Engineers and Glenn Gavan on a limited basis, assisting with press releases. Stay on the inside scene with NJ Inside Scene. Click here to follow us on Facebook.